Having spent a few years Keeping it Weird in the capital city, half my heart will always be in Texas. So today, this Louisiana woman wants to share flood reality and recovery news our neighbors could use–now and for the foreseeable future. During the stint with the Texas Windstorm Insurance Association (TWIA) that brought me to the Lone Star State, I once upon a time devoted many hours and much energy to informing and educating Texans from the Rio Grande Valley to Corpus Christi–and up into Harris County where Houston sits (currently underwater) with regard to hurricane preparedness and recovery. 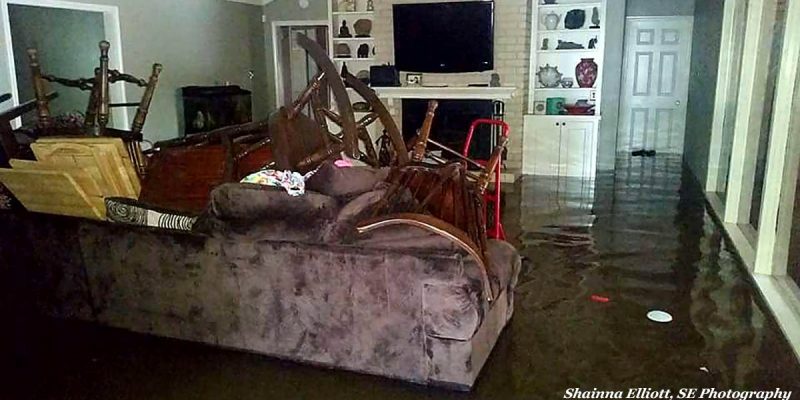 I moved home to Louisiana in 2016 to be here for family ravaged by the Great Flood. I had actually been packing my bags for a visit home to see my sister’s new house in Greenwell Springs on Friday morning, August 12, when my phone started blowing up with weather warnings. I postponed my trip, and by the time I made it to see her place, it was no longer a dream home but something out of a nightmare. Seems I left Texas just ahead of the storm–the indomitable Hurricane Harvey–that would mercilessly batter Houston and beleaguer the coastal counties. So to our neighbors from the beaches I vacation on to the city of Houston where I first fell in love with baseball, vintage shopping, and grilled cheese with tomatoes and–is that Thousand Island?–(I’m looking at you, House of Pies on Kirby). . . We feel your pain, and we won’t let you go it alone. Here’s what experience has taught us (thanks to Hayride readers and friends of publisher Scott McKay for input). Use the timestamp app on your phone to document the damage for your insurance company. Before entering your home, take photos of the water line around the outside of your house. Take photos of the water line in every room, including the garage, pantries, and closets. If the amount your adjuster (finally) comes back with doesn’t seem right and isn’t enough to rebuild with, appeal it! From The Day the Water Came to Texas forward–we’re here for you.